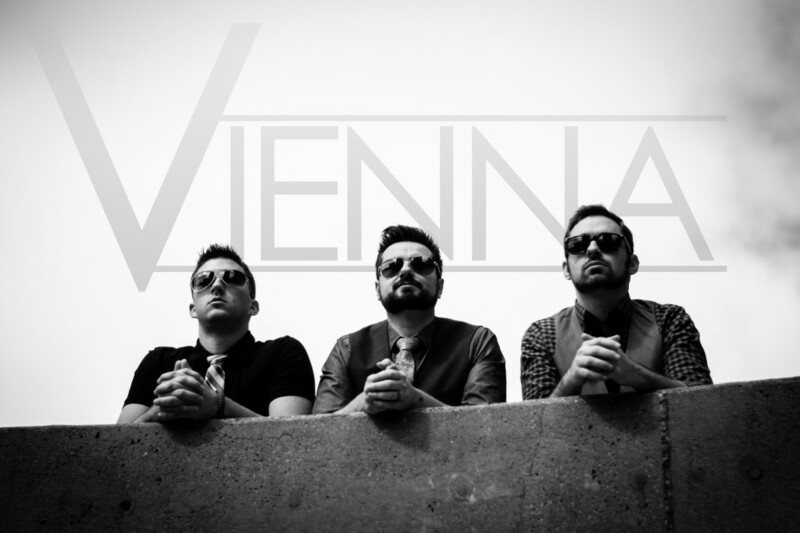 We were pleased to interview Vienna, a progressive dance rock band that is based in Minneapolis. 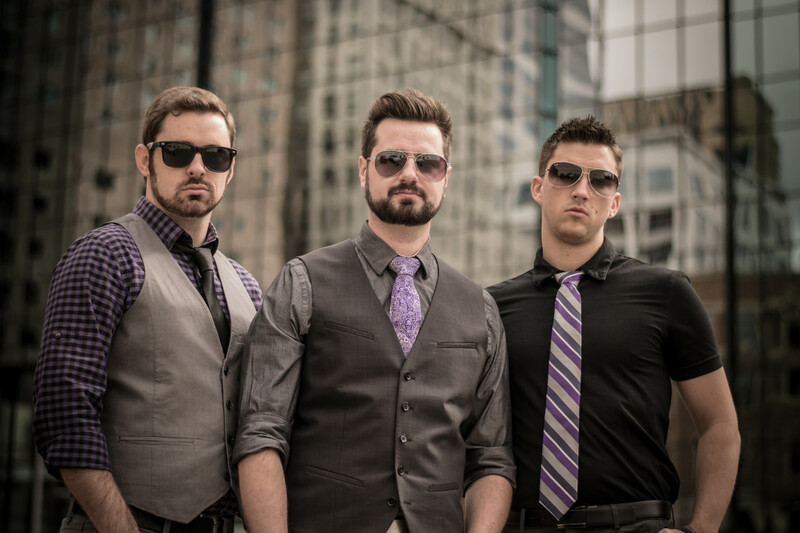 Shawn Vaughan performs lead vocals, synth, and guitar; Ben Fearnside is on guitar, drums, and backing vocals; and Brent Wassell provides bass playing and backing vocals. Vienna has been playing in Minneapolis and their next show is at the Fine Line (https://www.facebook.com/events/473128046070322/). As Vienna expects to release an album later this year, I hope I get to hear this awesome band perform live in the future. The three of us got our start separately through playing at church. We actually met through church and connected as friends right away. We had each been in some garage bands, and recorded original tracks, but the real fun began when the three of us got together and started to jam. What prompted the band’s name change from Vienna Curtain to simply Vienna? Shawn and a former band member were going through theatrical terms, but decided that a single word had a stronger presence. The name Vienna has stuck with us because we love the simplicity and visual marketing ideas with the letter V. We have a LED “V” synth stand that is programmed to our songs for live shows. You have characterized Vienna’s music as “progressive dance rock.” I love the eclectic, electric feel of your songs. I can especially hear the synthesis of these styles on your song “Downtown.” How do you blend the different genres and what influenced you to combine them? Some of our favorite bands were Muse and The Killers. We liked the progressive rock style of MUSE, and the synth pop-eclectic style of The Killers. We don’t want to limit ourselves to just one genre necessarily, but you will notice all of our songs have a certain Vienna sound to them. We love the combination of electronic music with features of Rock music. The two together really get us excited. I really like the way your voices come together. How does each of your different writing and playing styles become integrated into a song? To start, every song is different. Usually, we start with a jam session in the studio and those ideas transfer to something we call the V-Machine. This is where Shawn takes those ideas and turns them into our Vienna sound. We all collaborate on our songs. Our different styles combined make up our signature Vienna sound. Some of your influences have been The Killers, Radiohead, Coldplay, Stevie Ray Vaughan, and the Red Hot Chilli Peppers. If you were to cover a song by each of these artists, what would you choose? If we did a Killers tune, it would be ” Somebody Told Me.” It definitely has that Vienna dance-rock vibe to it. Most of the other bands we wouldn’t cover. We do use their influences in our tracks, but they just don’t work for us live. Have you had any female musician influences? We have been digging Katy Perry and Lady Gaga lately. They have continued success of writing killer pop tunes. All of them are so catchy, and we love that. To which albums are you currently listening? Brent has The Second Law by MUSE. Shawn is rocking Pink Floyd and Kings of Leon. Ben is listening to AWOL Nation and Calvin Harris. Act 1 Scene 1 is always a blast to play live. We also love playing Here We Are as it is a little different vibe. Place can be impactful as well. How has Minneapolis and the Midwest overall been influential on your art? We love the opportunities we have with the great venues and other artists to play shows with. Minneapolis has a huge music scene, and we love soaking it all up. Our sound isn’t the hipster norm, but people identify with our music’s accessibility. How does gender affect your music? The band initially had a female bass player. But, we have a lot of female fans, and went in a new direction with Brent as the bass player. Her harmony parts influenced our 3 part harmonies in a lot of our songs. We really pay attention to their opinions as we want our music to appeal to everybody; especially women! We run all of our songs past our wives, so they help us out too! Plus, Ben covers the female alto parts on our tracks when needed!! Can your songs be described as feminist? If so, how? Our music is usually about the human condition. Our lyrics are written to everyone. We support a wide variety of opinions and views and hope to relate to all listeners. What advice do you have aspiring musicians? Grow every day and take chances musically. Try things you might be uncomfortable playing. Ultimately, play what makes you happy, not what people want you to play. Don’t be afraid to get your music out there. We are releasing an album in spring 2014. We are also working on some music videos, and trying hard to grow our fan base. We are also working on putting together a huge CD release party in Minneapolis. ← Interview: Caravan of Thieves!